The concept of the Display project aims an open source platform. 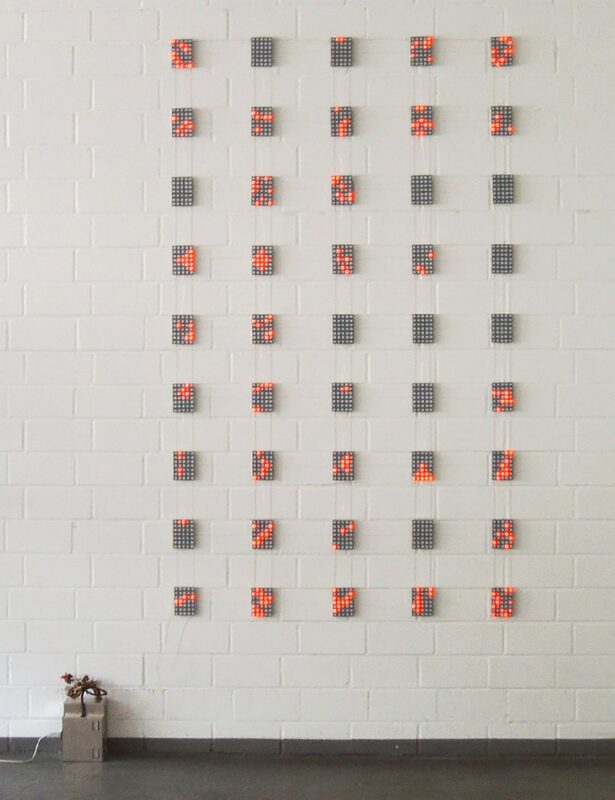 The concept allows the installation of digital content onto a wall, just like conventional media; e.g. painting and photography. LED-technologic has proven reliable even in very bright circumstances, such as foyers made of glass. Furthermore, they have a lifetime of thirty years. The size of the wall installation is scalable, as a given number of modules can join the network. The displays may be programmed in such a way as to only require electricity and run autonomously apart from that. Every display features ports so they may be connected to their neighbors. Thru this neighborly interconnections a grid is build, wich can generate complex patterns.